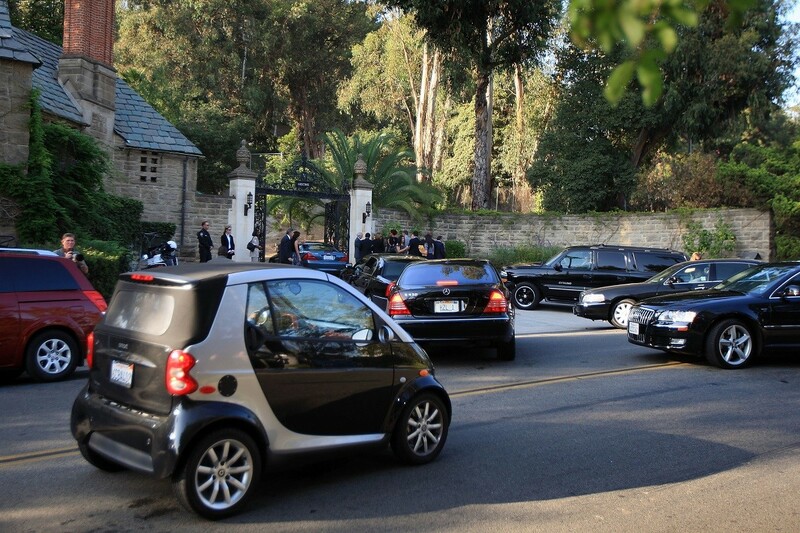 We have attempted to go to the ends of the earth to bring you the latest news surrounding celebrities and their cars. This week celebrities have been buying, updating, and crashing their cars, so let's take a closer look. Seattle Seahawks running back Fred Jackson was reportedly drag racing at the team's facility this week. Jackson was racing his black Corvette against a red Dodge Challenger, which belongs to an unknown driver. To make matters worse, Jackson lost control and smashed into a large planter box and a stop sign. Some of the first people on the scene were teammates Marshawn Lynch – driving a white Jaguar F-Type convertible – and Richard Sherman. It is not known if Lynch was actually involved in the racing. Jenner's SUV collided with a deer in Malibu, California, although she was not behind the wheel of her automobile. Her Escalade hit the animal near her home, but Caitlyn was out of town at the time visiting her mother. Someone who works for Jenner was driving the car with her permission, when the doe was struck. With her Escalade in the shop, Caitlyn is now driving her Porsche. Chad Ochocinco (Johnson) has always had an over the top personality, but at least his car is humble. The former standout NFL wide receiver has been driving a Smart Car since 2007 and he just picked up a brand new 2016 model. The car is being customized at The Auto Firm in Miami, FL. Chad said that his car gets 55 miles per gallon and only costs $20 to fill up, which means he won't be begging for any teams to sign him anytime soon. 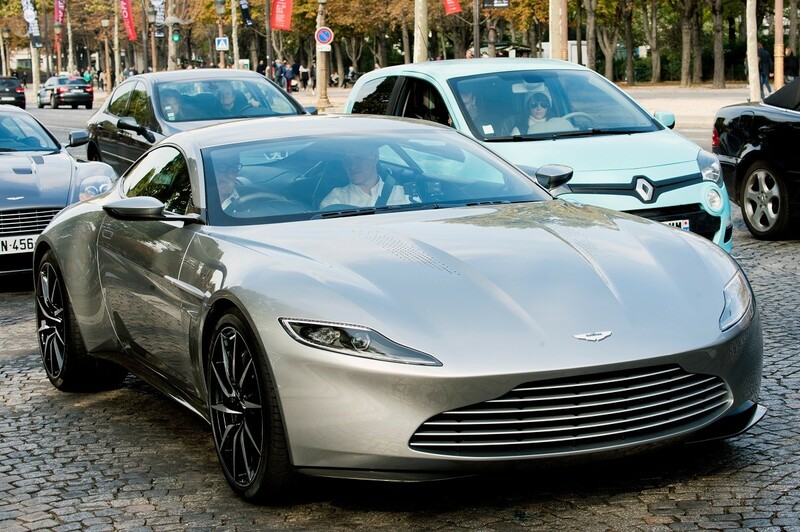 Jay Leno had a chance to drive the Aston Martin DB10 featured in the upcoming James Bond film, Spectre recently. The car and its designer, Mark Reichman, made an appearance on Jay Leno's Garage. Leno had the opportunity to drive one of only ten cars made for the movie. While some American Idol contestants go on to have big music careers, others have to go back to the real world when the show ends. Former contestant Corey Clark has taken to becoming an UberX driver in Beverly Hills, CA in his Chevy. Rapper Fetty Wap is still recovering from his motorcycle accident. He is now on two wheels – a wheelchair to be exact. Wap was seen ordering a burrito at Chipotle in New Jersey on his new "ride." Actor and former professional wrestler, Bill Goldberg, decided it was time to get a new clutch for his 1965 custom Cobra, when the previous one went up in smoke. Goldberg's Cobra features an Elliott NASCAR engine and a Centerforce Dyad DS dual-disc system, so he won't be late to his movie premieres. Meg White net worth: Meg White is an American musician who has a net worth of $20 million.